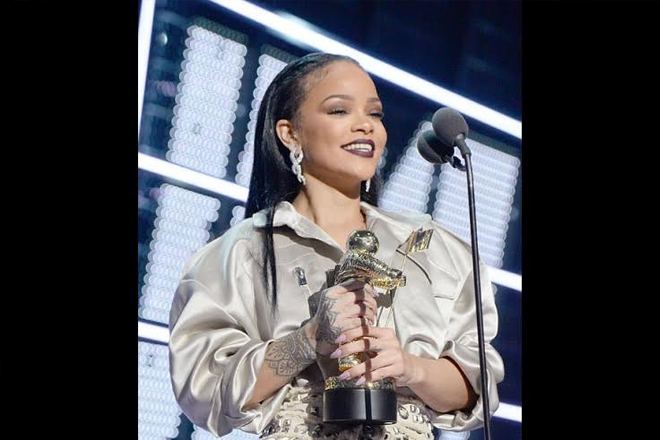 The spotlight was on Barbadian-born superstar Rihanna at the 2016 MTV Video Music Awards last night when she received a lifetime achievement award – yes, at the age of 28 – and then dedicated it to her home country. The Michael Jackson Video Vanguard Award which honoured Rihanna’s decade-long impact on music, pop culture, fashion, film and philanthropy. And almost as soon as she got it, she showed she was proud of her Barbadian heritage.